The Humble Nindie Bundle is the first of its kind, bringing the pay what you want model applied so effectively to other games and media into the console market. It was a surprising coup for the Nintendo eShop when announced, and has raised over half a million dollars in its first week - there are still more games and another week to come. It's a project that brings a lot of key business together, and we've already spoken to Nintendo of America's Damon Baker and a number of the Nindies involved to get their perspectives on the promotion. That leaves a notable gap, of course, Humble Bundle itself. We fortunately had the opportunity to sit down for a chat with humble co-founder John Graham a couple of days into the promotion, to get the lowdown on how the Nindie Bundle came together and to explore the broader topics involved. 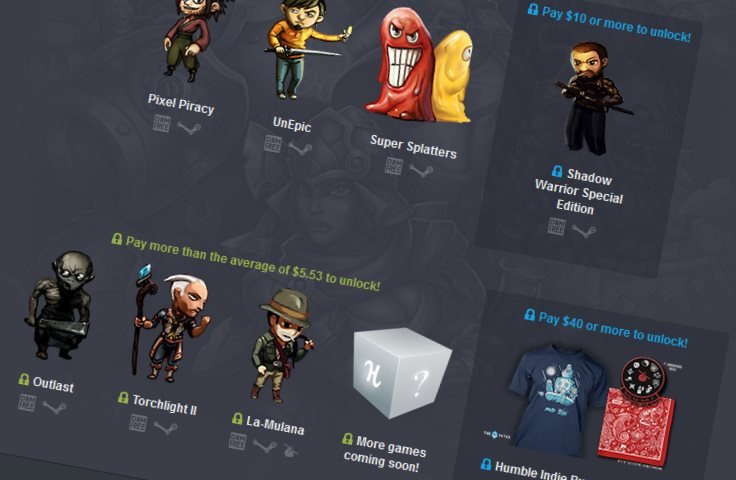 With the history of Humble Bundle, starting five years ago with a focus on PC, then expanding to smart devices, eBooks and music, how long have you been planning to get into the console space? We try to be the friendly guys that talk to everyone and we strongly believe that, where there's valuable digital content, Humble Bundle can be very useful. We've been talking about console bundles for a little while, but finally everything came to a head and we realised there's an awesome Indie promotion we can run with Nintendo. The awesome guys at Nintendo said "we like this too, let's do it". Were you at all surprised that it was Nintendo that came through with this? You know, I wasn't sure how things would play out, but I think with anything like this it needs somebody that believes in the promotion idea on the other side. We've been working with great guys at Nintendo that figured out what this opportunity was, and I'm very proud of its performance so far. We try to be the friendly guys that talk to everyone and we strongly believe that, where there's valuable digital content, Humble Bundle can be very useful. It seems to be doing very well so far. Is this performance in the first two days largely in line with your expectations? I'm a little superstitious so I try not to make too many hard bets in advance. It gets interesting because this is a promotion only for people in the Americas, and we weren't quite sure ahead of time exactly who in our existing audience is in the Nintendo community. So there are a couple of X factors here, but I'm very proud of the performance of this promotion; it's doing really well, and I think it's meeting my expectations if not exceeding them. That's an interesting point you bring up with your audience - this seems rather like Nintendo planting an eShop flag in new territory, as Humble has always been its own unique platform. Yeah, and I'm sure we're getting new users visiting the site as well from the Nintendo community. That's one of the fun things that results from a promotion like this, bringing users from both sides together at the same time. I don't actually have my own Nintendo system at home yet, but a promotion like this makes me want to buy one. I've certainly bought this bundle, so I have to figure out the devices to play the games. I wonder how many people in the Humble community are maybe like me. I wondered whether that'd be a factor, as the eShop is perhaps still rather unknown away from dedicated Nintendo fans. Was that a factor when picking the games? Did you and Nintendo aim for an array of titles to show the eShop in the best light? Certainly. We've got a great set of Indie games here, so it's in line with our Humble tradition of promoting amazing Indie games, and when we saw the intersection of that with what's on the eShop, we realised we probably had something and should go for the promotion. Damon Baker from Nintendo of America told us that this came together quickly, saying that it happened in the last six months with the "stars aligning". Is that how it was from your perspective, a fairly quick turnaround considering the work on picking games, infrastructure and so on? Yeah, that's our interpretation too. We'd been talking for a while, but suddenly we realised the time was right and then just went after it; got the thing launched. Were there any particularly unique challenges with the Wii U and 3DS eShop platforms? Since Humble Indie Bundle 1, when customers asked whether we could include Steam keys, we've had some infrastructure for just administering keys that unlock digital content. Nintendo just generated a batch of keys on their side and that's all it takes. The key component is on the curation side - have we got a batch of content that people are going to value and get excited about? That's always the more interesting challenge, the game key part was easy and Nintendo was easy to work with. You guys have some previous experience too, handling eShop codes for the Shovel Knight Kickstarter campaign. You're right, and one of the purposes of the Humble widget service is to help content creators fulfil their Kickstarters. Hopefully we'll be seen as a strengthening force in addition to all of Nintendo's own successful activities on their store. I think a key question revolves around how Humble Bundle meshes with the eShop. With the PC scene and smart devices aggressive discounts are relatively common, and I'd suggest the pay what you want structure is a natural fit there. Do you feel there's any more of a conceptual clash with the eShop, as Nintendo's store arguably has a different pricing culture and market? In general our goal internally is for Humble Bundle to be a symbiotic additive force in the industry, and we just want to be that rising tide that lifts all ships. The inspiration for the first bundle came from the fact we're independent game developers ourselves and saw that doing wild and crazy things got people excited, generated buzz around brands, and promotions we were running actually improved long-tail prospects, too. That's continued to reverberate and is the spirit of this promotion too; I don't want to speak to data I don't have yet, but I'd hope the Nintendo guys can track activity on their side and see user engagement increase. Hopefully we'll be seen as a strengthening force in addition to all of Nintendo's own successful activities on their store. Indeed, so a counter-point to suggesting this bundle is a negative could be that those redeeming keys will be visiting the eShop and driving traffic to the store. In terms of the eShop library, in comparison to the PC scene that you know so well, is the relatively small library an issue? I think there's a lot of pockets of the internet, and no matter how big your section is you always stand to benefit from cross-pollinating with other groups. I think that's one of the core premises for this promotion, is that Nintendo's good at what they do and we're good at what we do, but together we're introducing new members to each others' communities in one combined even. That's the exciting part, and I do think there's a lot of overlap in demographics in terms of having reasons to get excited and participate. I see that as hopefully opening the door for future opportunities like this. Do you foresee a future where, for example, Nintendo eShop products are sold through Humble in different ways, such as the Humble Store? I don't want to speak for Nintendo directly, but if we take the Steam example, that's pretty progressive-minded in that a if a developer wants to produce and distribute keys, Steam is pretty awesome about getting them into developer's hands to use as they see fit. I think an open-door policy can only strengthen your platform long term, instead of building a walled garden to keep people out you can do things to bring people in. As crowded and noisy as the internet and online connected world is, it's critical to be thinking about that long term strategy instead of just "oh, we do things this way, and this is how we wall the garden". So kudos to Nintendo for even trying this experiment with us, and I do hope it leads to other things and that it's smart business to be open to the world instead of trying to close yourself off. That seems to be reflected in the games, with many of the developers having previous experience with Humble Bundle. Is that part of the process for Nintendo too, promoting these multi-platform games that can be picked up in an eShop bundle as opposed to a Steam bundle? It's an interesting frontier, and beyond the desire to be open there is a business case in there. Naturally, I have to ask about the region issue. You've shared a blog post, and both you and Nintendo have shared the same sentiments of regret - were there any particular logistical issues, and did you expect it to be such an issue in terms of the online reaction among gamers from PAL regions? Of course we always try to be as inclusive as we can be, and region-locking is not ideal. This is a case where we - and Nintendo - pushed as hard as we could to be inclusive, we got as far as we got for this promotion. I sincerely believe it was the right call to run the promotion, and help as many gamers as we could in getting this initial experiment out of the door. I do hope it leads to big things in the future. I have seen blog posts around in the news where Nintendo execs have been considering whether they want region-locking to be a thing in future iterations of consoles. The way things are currently designed it just wasn't possible for this promotion, but we're nevertheless really excited to be doing it. People are landing on the site and are excited, and want to get the whole bundle rather than try to cheapskate or just grab a small piece. Do you feel that's an area where console manufacturers can learn from PC and smart devices, in that they're so global and open? You always want to look to create the best user experience that you can. The long-term strategy is to be as inclusive and open as you can, and not create barriers that may not need to exist, which cause inconvenience for people. It's not always possible - licenses are tough, and deals can't always be struck so that you're worldwide in everything you do. There are often localised pricing and other concerns, sometimes even if the ideals are great and make sense, the actual application and implementation is not always possible right away. I've been looking at the average purchase price, hovering around $9. How do you feel the buying habits of this eShop audience match up to other current bundles or major PC promotions? I think this is a higher average than many, and we tend to see that when we've struck a chord with a vigorous community that can galvanise in one direction. I think we saw that, for example, with the Sid Meier bundle - if you're really into Civilisation games you're really into the promotion, and you don't want to just get a small piece, you want the whole thing. I think that's what we're seeing with the Nindie bundle. In a funny coincidence we wrote about pricing on the eShop, focused on the issue of eShop games being released at around $20. Some were saying that pricing was too high, and the developer of The Fall has spoken to us about accepting the realities of pricing. Is Humble Bundle a notable part of that different reality, as a shop window? How do you see this issue over pricing and Indies valuing their games? I think there's a lot of psychology around pricing. So, for example, if you're asking somebody to pay $30 for your game on a store, does that feel the same as a $30 tier on your Kickstarter? The reality is often very similar as you're helping the dev, and if you want the dev to make more games you should be willing to pay something to get them. It's almost like Kickstarter is a fancy way for pre-paying for a game, but psychologically it seems like the 'ask the world' approach is a little more humble and interactive. I think people are starting to care about how they get their game, how they're made and how they're supporting the dev; I do think Humble Bundle is one of those interactive experiences where we put the power into the hands of the consumer. It's an honour system, where we say "hey, the MSRP on this bundle is $88, and you can choose how you pay for that". I think that engagement really excites people, and the fact that we have the charity, philanthropy side means people seem to feel "wow, I'm getting a great deal, but I'm also helping devs and charity", that sense of making the world a better place. That seems to be a big part of the appeal, an "everyone wins" approach. Was that at the core of coming up with the concept five years ago? Yeah, that's our hope and that's part of our job, we want to make everyone happy on all sides. We're only making developers happier, only making consumers happier, and if we're leaving one side of the table out in the cold we're not doing our job. It feels good to hear that. Additionally, with the bonus of helping charity, I believe we're at $59 million raised for charity, lifetime so far. That feels pretty good, and is a true credit to everyone's participation, we're really grateful to all the developers and customers that have been involved in our promotions. Without them we would never have gotten there. Looking at the sliding scales that allow you to set how much is given to the devs, Humble and charity, do you find that consumers actually change those from the defaults? Yeah, customers can do whatever they want. In general we do find that the defaults do in fact have inertia, though there is a slight bias and we find that's almost always in the favour of charity. If people are going to mess with the sliders, generally many do so in favour of the charity. It's integral to the the whole concept, then? It shows that people care and are mindful of that component. 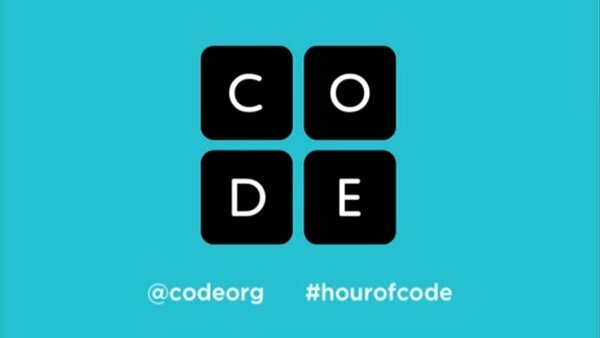 Was the choice of Code.org from Nintendo, or collaborative? It's always collaborative, but Nintendo gets credit for pushing to have that awesome organisation as part of its promotion. As a conclusion, how would you summarise this project, not just from the perspective of it featuring Nintendo but as a new move into consoles for you guys? This is a big deal, a new frontier, and we're really excited not only to have this initial experiment out of the door and being successful, but to look into the future and see what doors it may open next. It's a long term goal to have Humble Bundle shake up how we purchase and buy download games? There are some key components of what we do that resonate universally with consumers and content creators, and where there's a valued digital product I think Humble Bundle can be very useful. Finally, what do you think is the definitive factor driving buzz for the Nindie Bundle? Well, we're doing something new, as I said it's a new frontier. But also the content is awesome. These are fantastic Indie games, and I guess we have a platformer theme going on here, but if you look at it each game is different and emphasizing a different aspect. We've got puzzle platformers, some stealth platformers, world crafting platformers, skateboarding platforming. Whoever you are as a gamer, there's at least one or two - or maybe all - of the games that can get you excited. We'd like to thank John Graham for his time, with special thanks to Steven Scott, Melinda Montana and Jools Watsham for their assistance. Great interview. The guy seemed actually likable. I'm not overly familiar w/ all of these, but from what I know I can't put that label on any of them. Maybe "Stealth 2"? @rjejr Maybe Steamworld Dig as you kind of create your own path through the game. I haven't played Stealth 2 though or a few of the others so I'm not really sure either. @rjejr As ted-k, said probably SteamWorld Dig, while Stealth Inc 2 has a pretty detailed level creator / level sharing tool. so could Europeans get this Bundle in the future then? I'd love for this to come to Europe. Stupid Region lock blocking our Fun. @ThomasBW84 @ted-k - Thanks guys. Guess I should just pick this up and be done w/ it and stop asking stupid questions and stop wasting everybody's time. This bundle was an awesome deal and I can only hope that there will be another one in the future. It is also interesting to note that Nintendo out of all people happen to be the first company to receive a humble bundle on a dedicated gaming system considering Sony is usually the ones touting their strong relationship with independent developers. Surprising, but certainly welcome. Does anyone know why all regions couldn't happen? @MadAdam81 I'm guessing it's because not all the games are available in all regions. That isn't an issue with region locking, it's more to do with age ratings. I did wonder how many Wii U and 3DS systems Nintendo sold as a result of this bundle (I know this bundle got me closer to buying a Wii U as I have more games to play for it now when I get one). @rjejr If you haven't already I'd say definitely get it. For 10 bucks I think you can't go wrong even if you already have some of the games. You can always give away those codes. I gave away codes for Steamworld Dig and Ollie Ollie to a friend and he was pretty glad to get them. @ian_twofivesix I'd probably say the same thing. I kinda feel like its cheating if i lived in the us but got a uk game via going online to a uk download store to get it.